Veteran Bollywood actor Joy Mukherjee passed away on 9.3.2012. He was 73. Mukherjee is survived by his wife Neelam Mukherjee and three children - two sons and a daughter. Mukherjee stepped into showbiz with the 1960 hit film "Love In Simla". His popularity soared further with films like "Shagird", " Love In Tokyo", "Ziddi", "Phir Wohi Dil Laya Hoon" and "Ek Musafir Ek Hasina". He was the son of Sashadhar Mukherjee, a film maker. His mother was Sati Devi, legendary actor Ashok Kumar's sister. Sasha dhar Mukherjee was the co-founder of Filmalaya Studios. 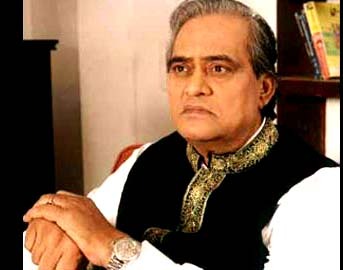 He was the paternal uncle of actors Kajol and Tanisha Mukherjee.